The rundown: This category contains less suspense than other races since ten finalists have already been established, five of which will be nominated. Three films have the previous films in their series as positive indicators of their chances: The Hobbit: An Unexpected Journey,, Star Trek Into Darkness, and Iron Man 3. is all but guaranteed as the only Best Picture contender in the race. After that, it’s anyone’s game. 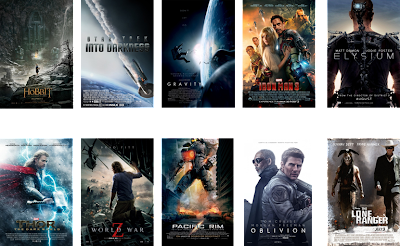 I’m betting on Elysium over Thor: The Dark World and World War Z. It’s also possible that Pacific Rim, Oblivion, or The Lone Ranger could secure a spot.